As my 29th birthday approaches tomorrow I thought it’d be fun to take a look back at my personal style evolution over the year. When I turned 28, I promised myself to get in tune with my personal style. My goal was to find and wear clothing that was practical, in style, comfortable and chic. Also if the clothes made me feel good, I was sold! I gravitated towards black and white, neutrals and prints. I also made sure my accessory game was on fleek, LOL! While these outfits are just a few examples of what I wore this year, they’re some of my favorite outfits worn, on the blog or shown on Instagram, during my 28th year. I’m very comfortable with my personal style choices and personal style growth. It’s been a fun year and I can’t wait to see where Year 29 takes my style! So tell me, what do you think about my personal style evolution this year? Let me know! 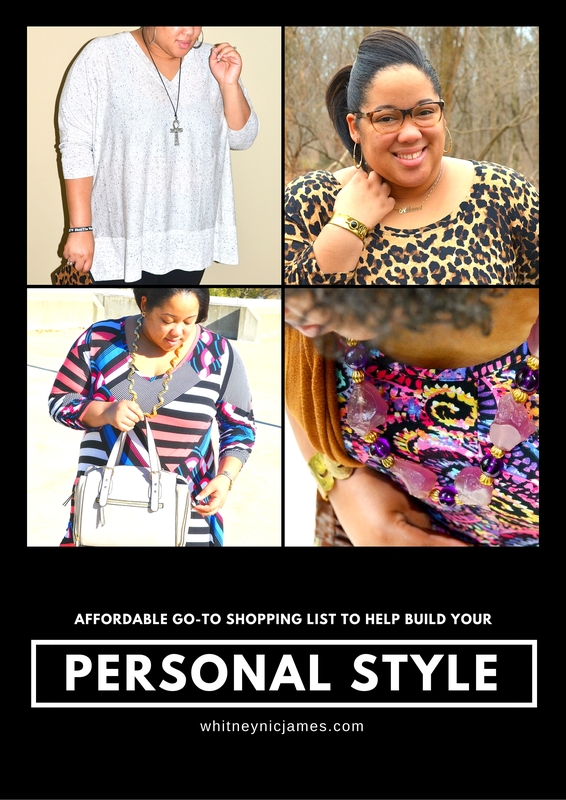 Thanks for stopping by today and don’t forget to link your recent outfit to today’s Personal Style Linkup. Until tomorrow, be blessed and stay safe…XO! Thanks, my friend! Thanks for linking up…XO! 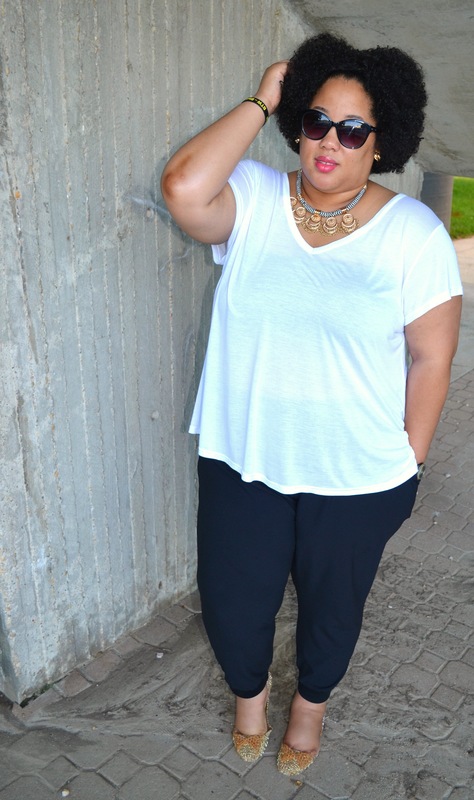 My blogger boo is almost approaching the big 3-0! Well, your style is evolving every so gracefully towards that monumental stage. 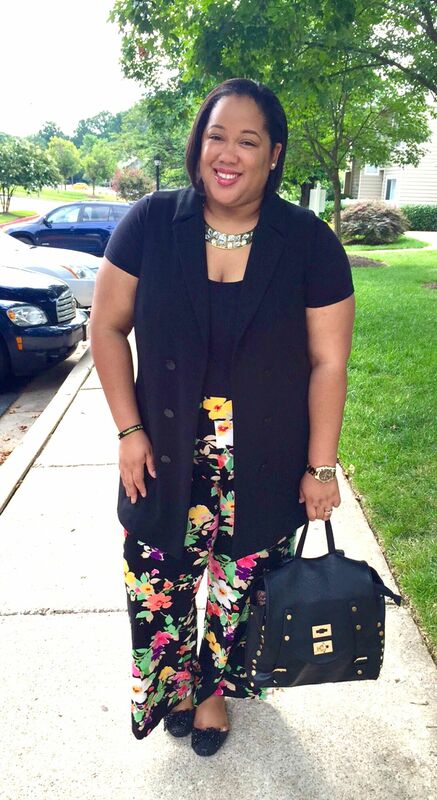 Really love the floral pants with the black longline vest look. Also, where did you purchase the gray top in the first photo? Your style is best described as comfortable. That’s what I like about your OOTDs, the outfits look wearable for real life! Hope your b-day is awesome! Thanks, Robin! I really appreciate your support. XO! I love all of the outfits! Isn’t it cool seeing how your style changes and evolves? Thanks so much! And yes, I love seeing my style evolution. It shows so much growth! I haven’t followed your blog very long but it definitely sounds like you’re style has really evolved. By the way, I am loving the blue shoes in the second picture… Where are they from?? Samantha recently posted…IT’S A NEW DAY… LET’S WIN IT! Thanks for stopping by, Samantha! The shoes are from Kicks USA. LOVE them! I love seeing how our style evolves as we age! You always look so cute and on trend. I share some of your faves like Nordstrom Rack Marshall’s and thrift stores…love them! Have a great week, Whitney! LOVE those stores! Glad to know we share similar store faves. Have a great day/week…XO! You had a great 28th year stylewise, Whitney! I think it’s so cool to see how our personal style evolves through the years, especially as we get older. Looking forward to seeing what your 29th year will bring! Happy Birthday! Have a great birthday love, you killed it everytime. Happy birthday! Nice to read about your personal style journey. I dig your shoe game. Oh to Be a Muse recently posted…You Catch My Mid-drift? Happy birthday! Such a stylish and beautiful year you have had! Happy birthday! Cheers to your style evolution and to many more fashionable years.